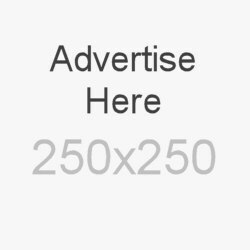 Revealed: The Cheapest, Easiest Way to Send Money to Poland! Many people mistakenly assume that banks are the cheapest way to transfer money from the UK and spend very little time or energy exploring the alternatives. A recent comparison has highlighted the major price differences in Money Transfer products and services and revealed an out and out winner when it comes to savings, service and speed. And no, it’s not a bank! If you need to send money home for the holidays, make sure you consider all the options available to you, so that you make the most of every Pound. 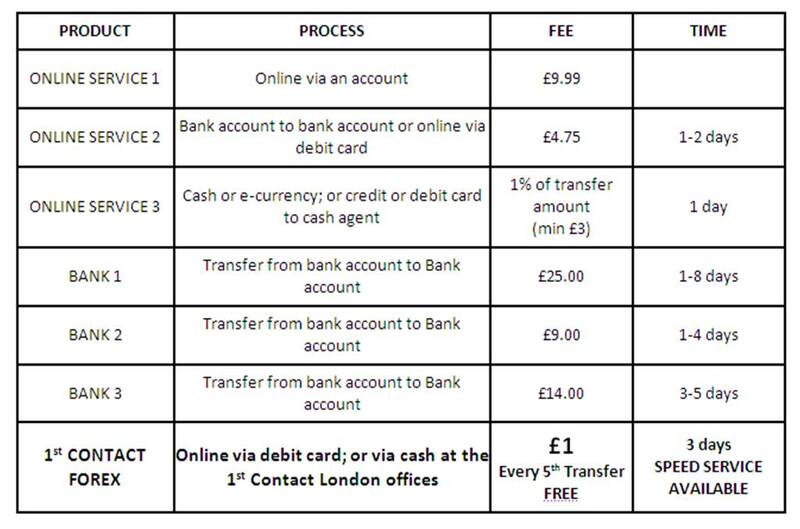 Below is a comparative table showing various options available and what the fees and transfer times are. At only £1 per transfer and the 5th transfer absolutely free, 1st Contact Forex was revealed as the cheapest, most convenient way to transfer money from the UK to Poland. Because of their enormous buying power and dedication to saving their clients money, they also offer excellent exchange rates. The service is also completely transparent. 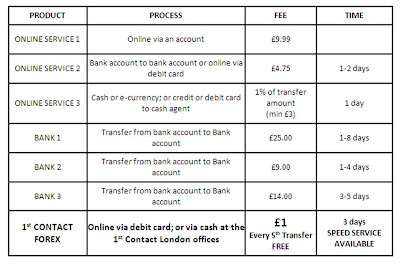 What this means is that the rate you see when you do your online transfer with your UK debit card is the rate you get. So there’ll be no nasty surprises for the person on the receiving end! To find out more about 1st Contact Forex or to discover exactly how much you can save through their foreign exchange and transfer solutions, visit www.1stcontactforex.com or call 0808 141 2309 to speak to a friendly and informed consultant.